With the bulb planting tool thingy it was actually very EASY! My soil is wonderfully friable, the bulb tool thingy (Dibber) went in easily creating the holes for bulbs that went straight into the soil and I was able to do many bulbs per minute! Make the holes, pop the bulbs in and cover. Easy! What a pleasure that was! What did take time was the containers. I had a plan I wanted to follow (that I had seen in a book) and it just didn’t work out for me, so in the end I just planted the bulbs in the containers the way I felt like doing it, changed my mind a few times and … well they are all planted somewhere now! The bulbs that went into the bulb baskets took a little longer and I feel they are a waste. I bought them to protect the bulbs from the mole rates – but the two solar mole repeller are doing their thing – they emit a buzzing sound every few seconds so hopefully the mole rats stay away. So far there are no new mole hills, so it might actually be working. I only used five of the trays in the end because I found it so much easier using the dibber. I have lots going spare now, I hope I can find some use for them. I might use them for the Tulips seeing as those bulbs need to be lifted and thrown out (so the books tell me – why not just leave them in the soil to rot and turn to compost I wonder?). 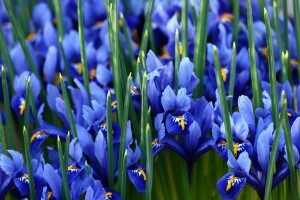 They seem like so many when we’re planting, so few when they bloom. Too many are never enough. 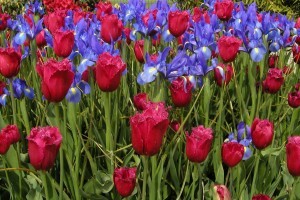 I think you pull the tulips bulbs after bloom to prevent disease staying in the soil. I’ve given up tulips. More hyacinths. Hyacinths is the one thing I didn’t buy. If I see any at the nursery I’ll get some. 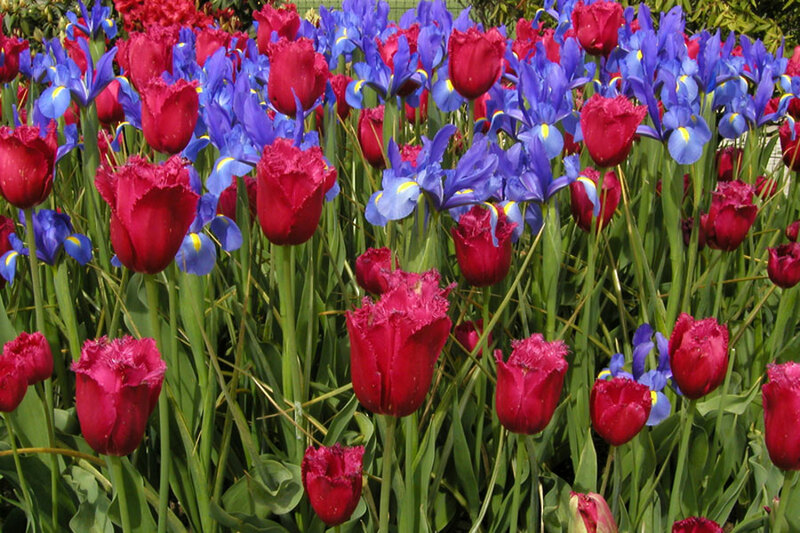 They look so pretty in photographs and I believe they look wonderful planted around the tulips. What a lot of bulbs!! Should look beautiful come spring! I really really hope so Margie!! Wow, almost a thousand bulbs that’s amazing. I hope you take lots of photos of the final result. Should be gorgeous. Just looking again at your post. It is truly amazing what you have achieved and this post will be your record of where you have placed all the bulbs. Come spring time you can see what is coming up. I am also guessing you have used your Gardening Journal to record this! Congratulations!!! Wow!! Wow!! I really didn’t think it was going to be that easy. I am super impressed and more so when they all bloom, which they will. It will be more than stunning and the most beautiful garden show EVER!!!!! I totally feel for you….and the injury. Shame!!! That pic you used is PERFECT!!! Had to laugh when I read only one more bag of potting soil!!!!!! Haahaaa! We know what that means! Take a rest my friend. I am still crawling around here with my back in spasms. Argh! So annoying. But it tells us that we should take things a little easier and to pace ourselves better. I am sure when our body gets tired we make mistakes and get injured. Let’s keep our garden a danger free zone!! Happy resting !!!!! Congratulations on getting all those bulbs planted. You must be very satisfied, as well as tired. The results should be fabulous. And thanks for posting on what did and didn’t work. 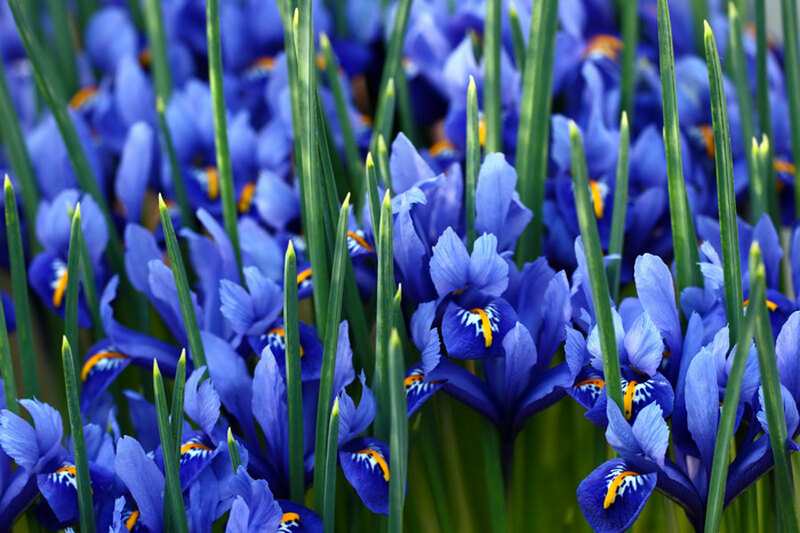 Very helpful post, and I look forward to seeing your bulbs in bloom. Hi Debs, I’ll be showing all my blooms once they come up, I’m sure. I’m holding thumbs all come up. I’m so new to this. Incredible undertaking. I can’t believe you counted, lol. Sounds like something I might do. Lol, Hi Jess, yes I counted, don’t know why, I thought I had too many, now I’m not so sure. Wow, so many bulbs, you are surely going to have a fantastic show. Here in the UK i have found that if you plant Tulips deeper than suggested they will in fact flower for quite a few years. Hope your injury heals soon. Hi Holley – I know what you mean about forgetting where you planted which bulbs – I already can’t remember, except what I wrote on the blog. But I think that’s half the fun, the surprises I can look forward to in spring! Stopped for a little lunch and blog entertainment and your cute cartoon is what I see. Ha ha…but not ha ha on the injury. Hope you are feeling a bit better and the wound heals. Kudos on the bulb planting and all that work, I love the spring and summer show, but abhor the planting. Hi Donna – glad youbenjoyed my cartoon! Feeling much better thanks, can’t wait for my “spring show”.